Since 1991 our Company has manufactured in the United Kingdom high quality air freshening products primarily for supply to the commercial sector. Our customers in this sector i.e. hygiene and cleaning service companies require air freshening products of a quality and strength far exceeding anything produced for the domestic market. 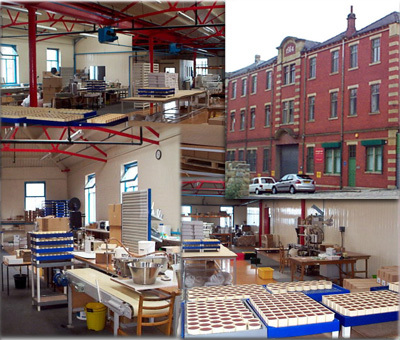 Located in Batley, West Yorkshire our manufacturing plant is an integrated unit producing high quality goods from start to finish. Our plastic injection moulding shop produces a range of containers and dispensers, fragrances used exclusively in our high quality gel products are also developed and manufactured in-house. Having an integrated manufacturing facility ensures that high standards and consistent quality are maintained throughout all production processes. As a Company committed to U.K. manufacturing we take pride in what we produce.